Hello crafters! This is the last week of school in VA and this means it's time to take those family summer vacations. I am planning to take my daughter to the beach since she has been begging to go. 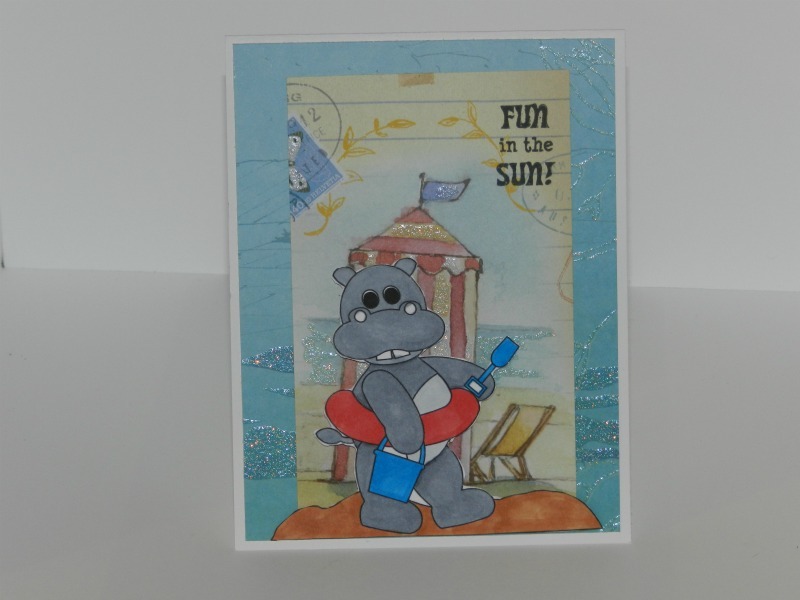 Today, over at Cooking with Cricut, the PCW DT Team created projects with a vacation theme. for my card, I used an old K&Company paper pack. I used Cardz TV "Fun in the Sun" stamp set for the sentiment. I hope you enjoy today's card. Don't forget to join us over at Cooking with Cricut for this week's challenge.